Paul Gray responded by email to six questions from Dan Power, DSSResources.com editor, about his past involvement with computerized decision support systems and his current perspective on the issues that need to be addressed. Gray's Response: My interest goes back to 1951 when, at age 20, I became a full-time Research Assistant at the University of Michigan�s Willow Run Research Center. During my first year there I was assigned to working on the �weapon assignment problem� as part of our work on air defense of the United States. The weapon assignment problem refers to the task of deciding which type of interceptor from which location is to be used in defense against air attack. Whereas during World War II in the Battle of Britain the RAF performed this task manually by hand for the relatively small area it had to defend, it was clear that the task needed automating when considering an area as vast as the United States. I was a small cog in the work that eventually led to the massive system headquartered in Cheyenne Mountain in Colorado. It also led me to the idea of Group Decision Support Systems many years later. During the 1960�s at Stanford Research Institute I again came into contact with DSS. One was a study in 1961-62 of keeping track of the increasing number of satellites being launched by both the US and the USSR. Here the issue was not only creating a data base but also using that information for early warning and decision making. A second was interaction with Doug Engelbart who called me into his office one day to show off the mouse and his first implementation of GDSS. In the mid-1970�s, we hired Steve Alter for the faculty in Quantitative Methods in the Business School at the University of Southern California. Steve had finished his trailblazing PhD at MIT and was writing his DSS book. He turned me on to DSS as an important discipline. In the late 1970�s, when the first PCs were coming on the market, I suggested the GDSS concept to the Center for Futures Research of which I was a member and which was in the Business School at USC. The decision was no since no source of money was seen. I was one of the early adopters of IFPS (the Interactive Financial Planning System) which is inherently a DSS tool and wound up writing 3 books on it. Gray's Response: With a grant of $250,000 from ARCO (the oil company) and some (but not all) of the equipment from Xerox, I built the first group decision support system in academia in 1980-81. 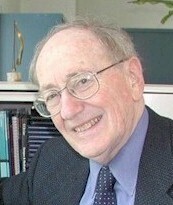 GDSS became a major research thrust in industry and then moved on to industry through the efforts of the group at Arizona under Jay Nunamaker. Gray's Response: A hard question to answer. I had been involved with computation even as an undergraduate at NYU. I was usually ahead of my peers as a user in this regard. I had been a co-principal investigator in a major technology assessment of PC�s for NSF while still at USC. I�d had the idea germinating GDSS idea for nearly 30 years before actually building a GDSS. One day in 1980, my Dean at SMU walked into my office and told me that he had lunch with people from ARCO who gave large grants to private universities in cities in which they had headquarters. He asked if I had any ideas. I brought up the GDSS concept and both he and ARCO bought into it. So you could say the combination of exposure to DSS, having an idea that clearly flowed from what I had been involved with before, and the availability of funds to actually implement it combined to motivate me to work in the area. Gray's Response: I�m not clear on this question. Is it a follow up to question 3 (collaborators on a contribution) or over a lifetime. Let me try to answer from the two viewpoints. Collaborators at SMU I worked with people in the school of engineering who helped design the two rooms, one each in the school of business and the school of engineering; A member of the operations research group, Jay Aronson (who is a coauthor with Eph Turban of Turban�s DSS book) and the late Julius Aronofsky who did one of the first experiments in the room. There were members of a class of executive MBA students who served as subjects. I left SMU about a year after the rooms were in full operation. Collaborators since SMU Here is a list of people with whom I co-authored. The extent of the collaboration varies among individuals. Some were doctoral students. Beauclair, R.; El Sherif, H.; Evans, W.F. ; Jurison, J.; Mandviwalla, M.; Nunamaker, J.; Olfman, L.; Park, H.; Park, Y.T. ; Rhodes J.; Satzinger, J.; Segev, E.; Sherman, F.W. ; Vogel, D.; Watson, H.J. There are, of course, others with whom I did not publish but, with whom I have had extensive discussions and whose ideas influenced me (and I hope vice versa). For example, Steve Alter, Dan Power, Ralph Sprague, Gerry Wagner, the Arizona Group (beyond Nunamaker and Vogel) Minnesota group (DeSanctis, Dickson, Gallupe, Zigurs), the Indiana Group (many of whom are now scattered), and many others. Unfortunately, it is difficult to pinpoint their exact influence but it is there nonetheless. Gray's Response: My answers below reflect where I think we are today. 1. Group decision support systems, under that name, is an idea which has come and, sad to say, has gone. Although there are still vendors such as Groupsystems in Colorado and they have a users group, the concept has not had legs under the GDSS name. That doesn�t mean that the many methods, studies, and experiments did not have an effect. They did. What we now have is many uses and extensions, including for example, distributed GDSS. 2. New fields, (such as business intelligence, competitive intelligence, knowledge management) came on the scene and are beholden to the findings of the over 40 years of history of the field. Technological inventions, such as the data warehouse and the data mart, also contributed. 3. Many original concepts, however, have been superseded. We started out in management science and computer science and the techniques of these fields were pervasive in its beginnings. We have moved past the elitist view that managers would be able to use Iverson notation (i.e., APL) and the populist view that all managers could do is look at chart books to a much more nuanced and user friendly vision. 4. Some early frameworks, (e.g., Alter�s taxonomy, Power�s, Sprague and Carlson�s) have proved durable and highly useful. 5. Although data-driven DSS is still the dominant paradigm, we are starting to see analytics coming back to the forefront as witnessed by Tom Davenport and Jeanne Harris�s book Competing on Analytics published in March 2007 by Harvard Business School Press. I�m sure there are others, but they don�t come to mind as I write. Professor emeritus and Founding Chair of the Department of Information Science at Claremont Graduate University. He specializes in data warehousing, business intelligence, decision support systems, and knowledge management. He is the author/editor of 12 books, most recently Decision Support in the Data Warehouse with H.J. Watson. He is also the author of over 120 journal articles including three "first papers" in crime in transportation, in telecommuting, and in group decision support systems. He is the founding editor of the Communications of AIS. Paul received a Ph.D. in Operations Research from Stanford University. See his resume summary. Paul Gray Reflections, DSSResources.COM, 04/07/2007. Paul Gray provided permission to publish this email interview at DSSResources.COM on March 19, 2007.